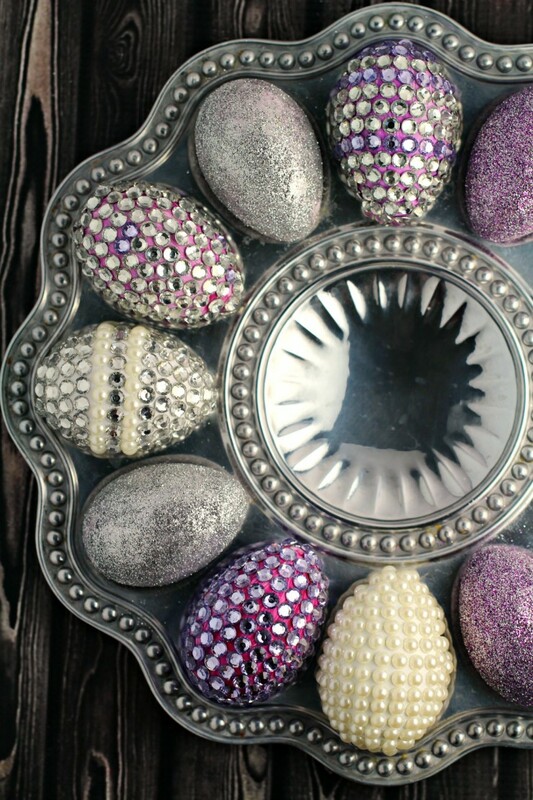 Blinged Out Easter Eggs - Frugal Mom Eh! 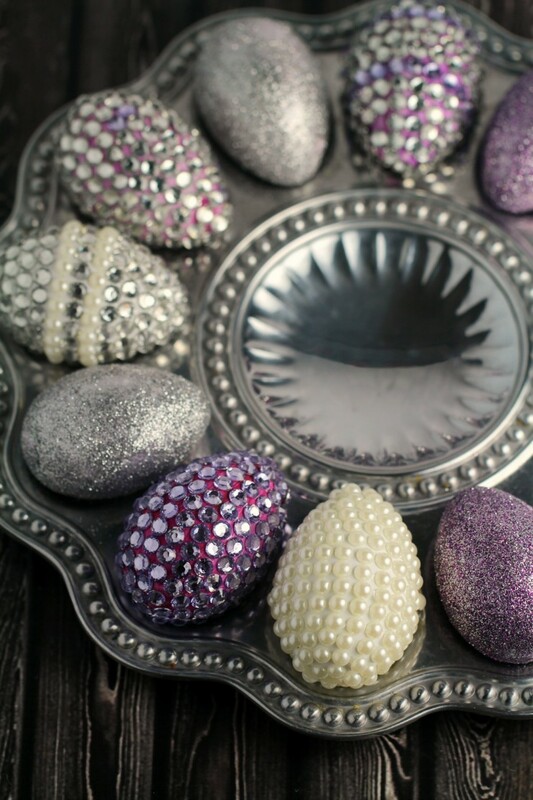 These Blinged Out Easter Eggs in Silver and Purple are almost Royal. 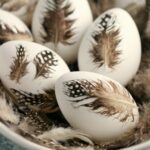 They certainly add a touch of fun to any Easter décor! 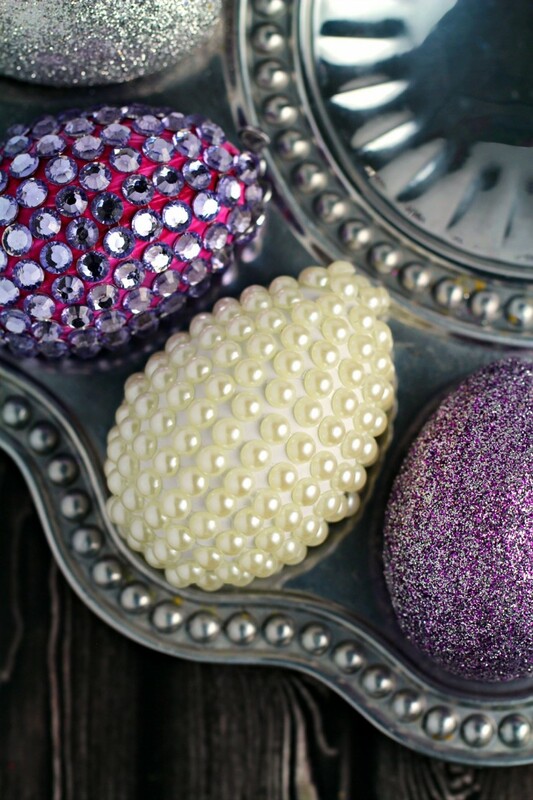 I created these Blinged Out Easter Eggs with dyeable, reusable faux Easter eggs from Dollarama. My favourite Egg is the “pearl” embellished egg. Isn’t is pretty? I created it using a sheet of pearl sticker strips I also found at Dollarama and wrapped around the egg strip by strip until the entire egg was covered. It was the same process with the crystal or diamond or whatever the silvery gems are supposed to be. 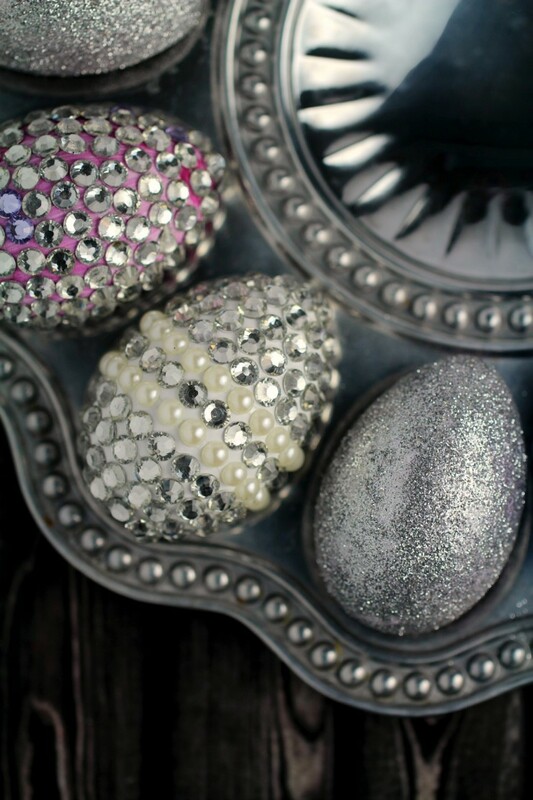 I love the egg that mixed up pearl stripes with diamonds. Cute, right? I even found some pretty purple gem stickers and used those ones on reusable eggs I had painted purple first. 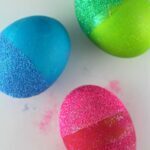 The glittery eggs are super easy too. 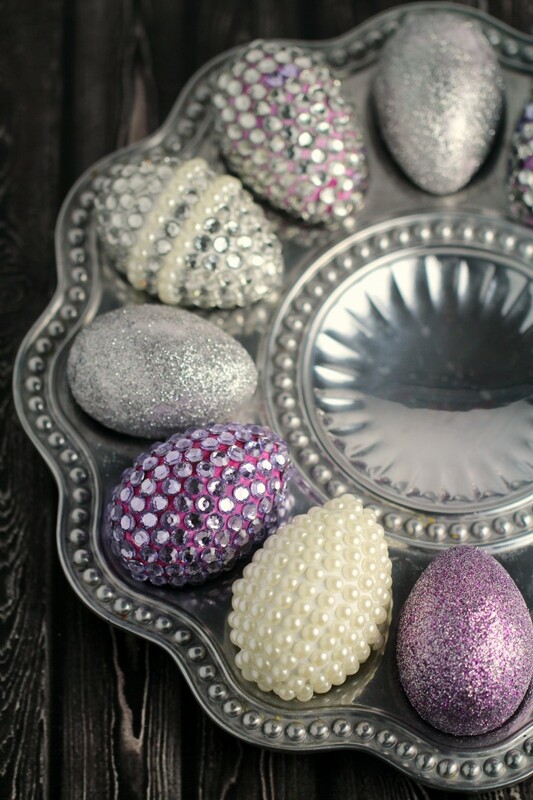 I painted reusable eggs with modge podge and rolled them around in silver glitter, and I also mixed together purple and silver glitter and rolled other eggs around that. My girls loved the glitter, unfortunately they are apparently practising to be magpies and picked strips of the gems off the eggs so my next mission is to figure out how to seal them so they can’t do that any more. 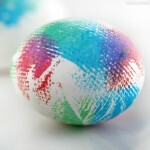 My girl would be so fascinated with these eggs……I might just have to surprise her with a couple! They are very pretty and would look really nice as part of a centerpiece for Easter dinner. 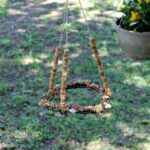 These are really cute and would be so fun to make! I would so love to see a photo of your supplies, as I’m not sure what they are. A picture is worth a thousand words! The finished eggs are beautiful! Sorry, I didn’t think to take pictures of the supplies! Plus fine purple and silver glitter. These look very pretty and would add.sparkle to any table setting.love it.can you post instructions.